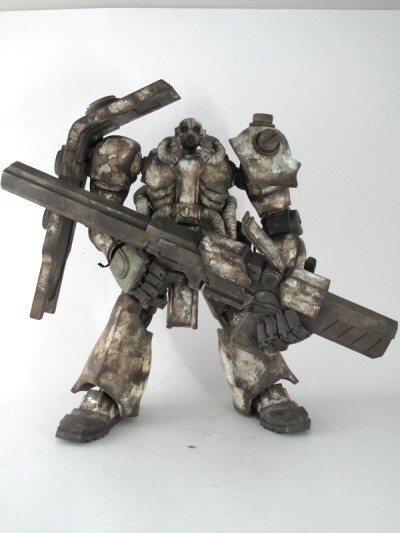 toybot studios: 3A x Bandai Zaku Prototype new pics...!! I'm still pretty excited about this highly stylized Zaku by Ashley Woods. 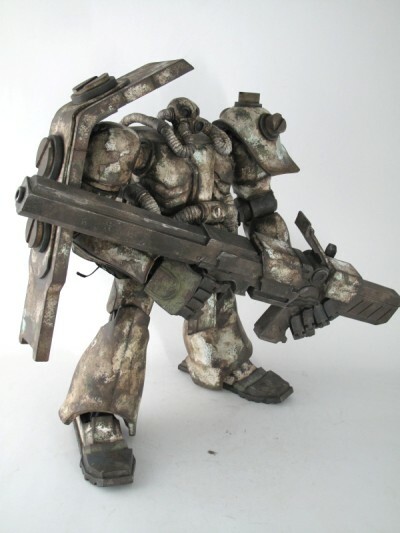 I think part of it is because we have never seen a Gundam or Zaku that has been completely re-designed outside of Bandai. The proportions still look a bit odd to me but I think that's part of the design. 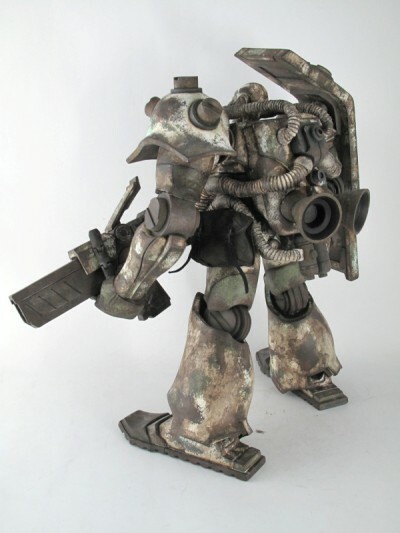 If it was perfectly proportioned, it would look too much like the Bandai Zaku. The tiny head makes the shoulders and hands look huge. Still on the fence with the gun. Really, really hope there is an axe that comes with this guy. No info on pre-order dates. Suffice to say, it will be many months before this guy is in your hands.